The library at Columbia University. MANHATTAN — The battle between the engineering heavyweights Cornell and Stanford has dominated much of the speculation about who will develop a major engineering and applied science campus — which comes with up to $100 million in public funds to kickstart development. These two universities have been very public about declaring their interest in developing a campus on Roosevelt Island, one of the three city-owned sites suggested by the Bloomberg administration — and supported by East Side pols. But several other schools have been developing proposals under the radar for sites other than Roosevelt Island, including New York University, Columbia University and Carnegie Mellon. They would be strong contenders if multiple winners are chosen, Crain’s New York Business reported on Thursday. NYU would build a Downtown Brooklyn campus at 370 Jay St., a city-owned building leased to the MTA that the city is planning to solicit new tenants for, Crain’s said. To build a program focused on urban sciences and technology, it would team up with the University of Toronto, the University of Warwick in the United Kingdom and the Indian Institute of Technology, Bombay. It would also join forces with corporate partners, including IBM, Cisco Systems, Siemens AG and Con Ed, according to the report. "We want to partner with city agencies, understand the problems of the city and use the city as a laboratory so we can prototype solutions," Paul Horn, NYU's senior vice provost for research, told Crain’s. 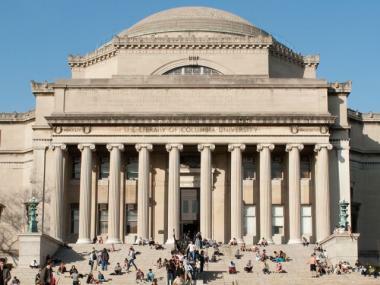 Columbia, which would build its one million-square-foot data science institute on the Manhattanville campus it’s creating near West 130th Street and Broadway, would ask for less than $100 million from the city, according to Crain’s. The center would focus on new media, smart cities, cyber security, health analytics and finance, the report said, drawing on expertise from the school’s business, journalism, engineering, international and business schools. The Pittsburgh-based Carnegie Mellon is eyeing the abandoned Navy Hospital at the Brooklyn Navy Yard — another of the suggested city-owned sites — to partner with Steiner Studios, a tenant already there, in building an entertainment technology center, Crain’s said. Douglas Steiner, chairman of Steiner Studios, told Crain’s that the proposal calls for an entertainment technology similar to ones Carnegie Mellon built in Pittsburgh with Disney and Google. The deadline for submissions is Oct. 28.